Fire. Beautiful. Warm. ...Deadly. In England in 2008 , a young boy named Quinn is the sole witness of an apocalypse that started when his mother's underground excavation crew unwittingly sets free a sleeping ancient beast upon the world. 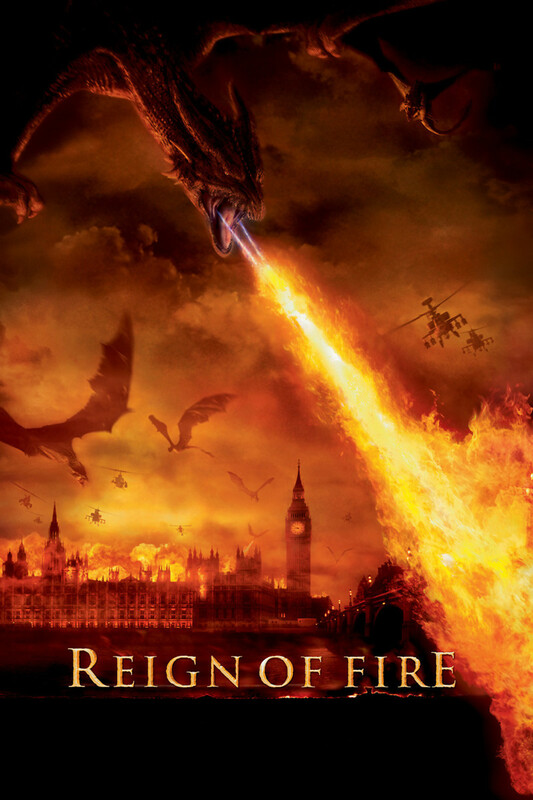 Twelve years later, the skies and earth beneath are reigned by dragons and their fire. Humanity is almost extinct. A haunted Quinn struggles day and night to lead and protect a small group of survivors among the ash and ruin. When a dragon-hunting team of American ex-military arrives, Quinn must decide if their leader Denton Van Zan can be believed and trusted. Van Zan claims he holds the secret to wiping out the menace, including the first dragon unearthed who killed Quinn's mother and started the plague.